I promise – next week I will get right back to doing “Anatomy of an Outfit” posts. Today is a day of rest. I am braless, my hair is in a bun… and there’s a slight chance that I won’t brush my teeth until around dinner time. So, for this week’s “Fashion Friday” post, I wanted to share a picture of a scarf I bought this week at Nordstrom. It was under $40 and really caught my eye. I wear a lot of black and I thought that this scarf would not only go with my very bland shirts but it would add a little pop of color as well. Do you wear summer scarves? I’m sort of a huge fan of them. I love all the bright colors. 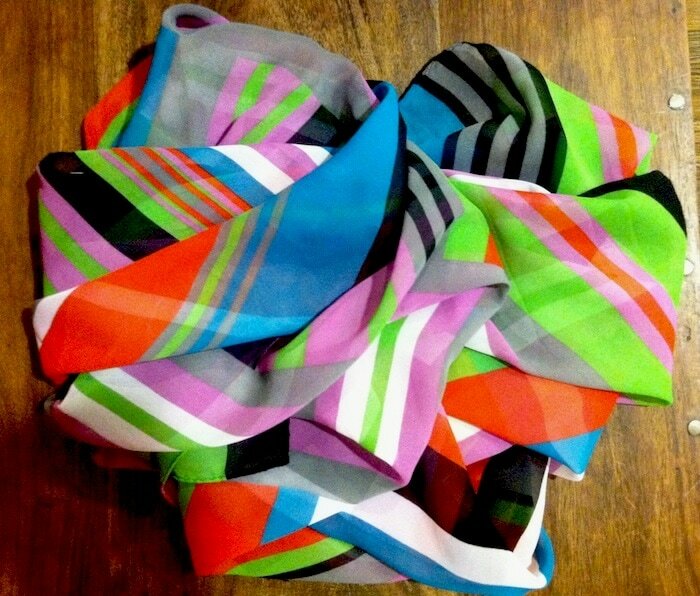 This scarf has a lot of versatility…could be worn with so many colors and styles. Be sure to post a pic when you wear it. Would love to see how you pair it!